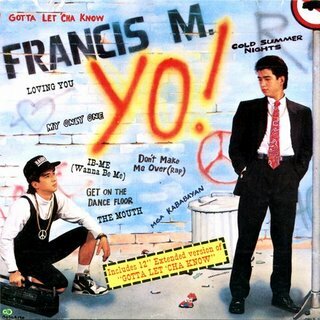 Francis M., dead at 44, was the Fresh Prince of Filipino hip hop, not so much in that he was a ghetto boy who lived with rich relatives or whatever, but in that he gave us our first taste of hip hop. He was the face of Filipino hip hop, adolescent and slightly awkward as it was. He represented, not a set, not a street, not a neighborhood, but an entire country that was still unsure of itself. And that is more than anyone did for as long as he did. And considering that he first did it in multi-colored shorts and sporting a ridiculous haircut, that took balls of goddamned steel. Big as goddamned bowling balls. Unlike the Fresh Prince, who morphed into Will Smith but was content to make sappy, gimmicky songs, the Man from Manila jumped headlong into social issues before RockEd made it cool, and sort of cliche. Also, the dude smoked weed, so, you know. In the pantheon of ’90s Filipino cultural icons, he was right up there with Ely Buendia and the rest of the Eraserheads, but a shade cooler because the dude could host noontime variety shows and still be a badass. There was very little hype about him, no merchandising deals, no heavily-marketed big time reunion concerts. Mostly because, until recently, the Three Stars and a Sun was not a popular theme and generally relegated to novelty songs. And mostly because he never stopped working. And now, of course, that nationalism (or at least the vestiges of such,) is cool, and now, of course, that he is dead, the accolades will come. The belated love, the greatest hits albums, the face on the t-shirt. But that was never the point, really. The sum of it all, the point of the whole exercise, was pretty much in the first sentence we ever heard him rap: mga kababayan ko, dapat lang malaman niyo, bilib ako sa kulay ko, ako ay Pilipino.